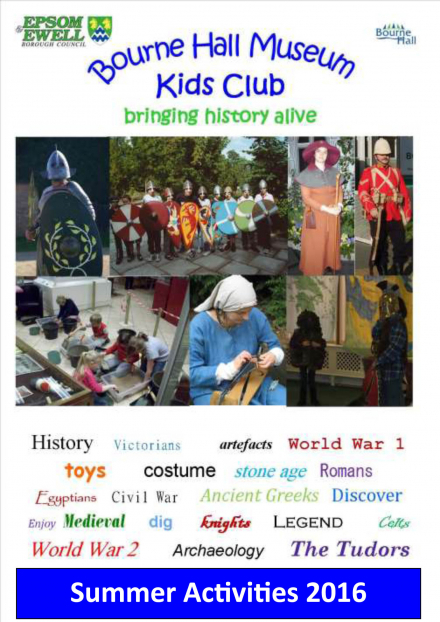 It can be difficult to keep the kids occupied over the summer holidays – but Bourne Hall Museum Kids Club is there to help. This year they have the popular Flint Knapping - giving the kids a look at the Stone Age. Cave Painting is also on the agenda - is there a pre-historic Picasso in your family? Dig It Live – digging for artifacts from the past. Take a look at the attached DOWNLOAD with this summer brochure.